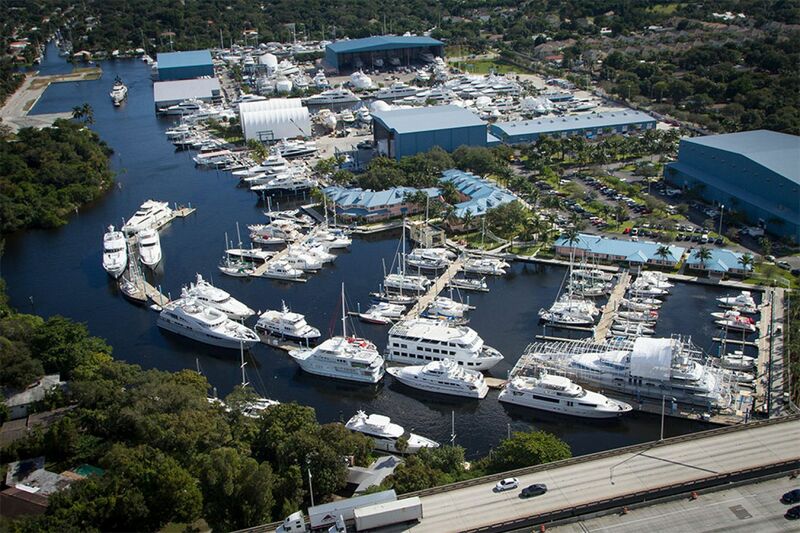 Lauderdale Marine Center has opened a marine foreign trade zone within its sprawling 65-acre compound in Fort Lauderdale at 2001 S.W. 20 St. The new zone is expected to provide several benefits to yacht owners looking to sell their vessels to U.S. buyers, or have them repaired or upgraded by marine industry craftsmen in South Florida. The restricted-access sites are typically shielded from the immediate imposition of duties by U.S. Customs, and are empowered to defer, reduce, or eliminate them on foreign products. The zone at Lauderdale Marine Center will provide a local place for brokers to legally show foreign-made vessels to prospective American buyers without the yachts having to pay the typical 1.5 percent import duty tax upon entry into the U.S., according to a company press release. Vessels will be able to come and go as needed from the zone to accommodate owner trips or charters. And newly built yachts that have entered the U.S. within the last three years can use the zone to file for a refund on previously paid duties, the Fort Lauderdale facility said. Additionally, major yacht refit projects can also benefit because duties on all imported parts can be deferred while vessels are in the zone. After the work is completed, the vessels may depart the U.S. without being required to pay duties or taxes. “Gaining designation as a marine Foreign Trade Zone allows us to establish mutually beneficial business relationships with builders, brokers and yacht management,” said Doug West, the center’s president. The facility leases work or office space to about 60 contractors who provide a variety of on-site, marine-related services. Lauderdale Marine Center is one of 16 businesses that won initial approval in December from the Foreign Trade Zone Board and Fort Lauderdale’s FTZ No. 241 to become part of a marine foreign trade subzone spearheaded by the Marine Industries Association of Fort Lauderdale.